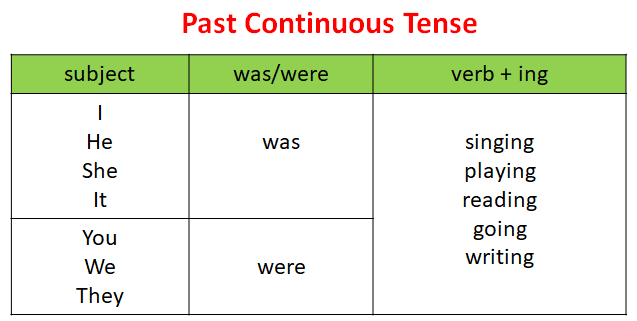 The following diagram gives some examples of past continuous tense. Scroll down the page for more examples of when and how to use the past continuous tense. This tense is also known as the past progressive.